If you currently use Adobe Illustrator then you know that you can create a contour on a vector based object. 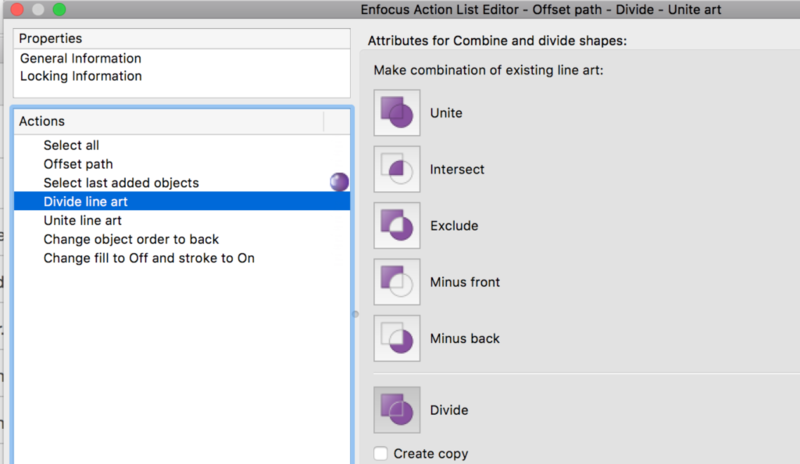 With the new Enfocus PitStop 2018 release, you can now work with offset paths and shapes modes to create contours for vector based objects. And better yet, these tools are available in the list of Actions inside of Enfocus PitStop, so you can fully automate these steps with an Enfocus Switch workflow. The Unite line art action listed has Unite selected instead of Divide. The input files we receive are Illustrator files so I am taking advantage of the Configurator Module in Enfocus Switch to convert the files to PDF files automatically (more info). 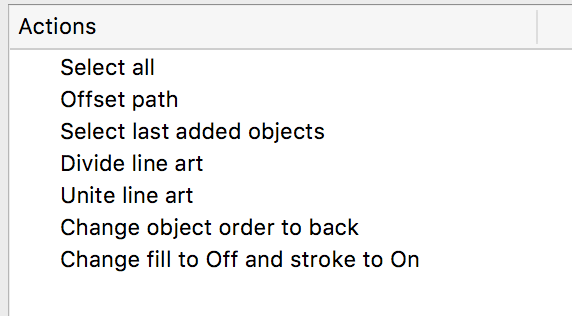 I then use the PitStop Server configurator where my Action List is selected to add the contours to my artwork. And that’s it! 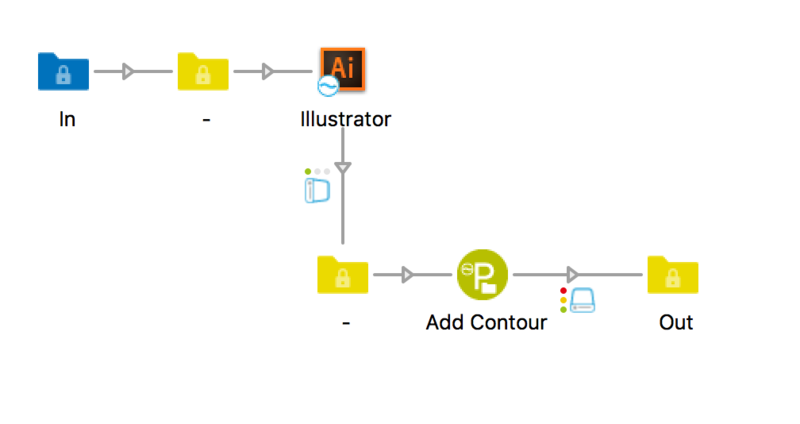 With this easy-to-build flow in place, you’re ready to automatically add contours to Illustrator and PDF artwork! No more outsourcing your jobs to get contours on your artwork: You can do this locally and fully automate it! This saves time and money while producing the same high-quality results!